slowly across the fields, their dreams falling into the soil. deep in the earth, tiny black beetles turn their dreams into words and then into stories and legends, whose histories become memories, not soon forgotten. swimming past the earth and the tall whispering reeds, there are tiny sparrows, whose heads turn to and fro, as they listen for the quiet stories of the earth. they know that the clouds have told them, the dark clouds have become brighter and filled with a soft light as their dreams become part of the earth's language. footsteps are heard above the stories and their telling, their quiet rushing and sliding noises soften and become very faint, as if someone were walking away. then the words unfold and dance about, as if they were not words at all, but small lilting children, whose spirits were free and filled with laughter. 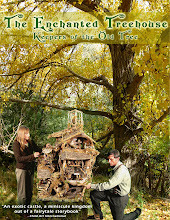 then, someone finds a small box made of wood, filled with tiny treasures, buttons and faded leaves. it is a child. they hold the small box very gently and deliberately with only one singular thought and reason. Their spirit seems to shine higher and become lighter as they realize they have found something very precious. the world is beyond them, far, far away. they are only enclosed in this tiny, beautiful moment, discovering each small treasure within the small box with equal delight and surprise, detached from all else.